I recommend seed cycling for hormone balance in both my clinic and book, Beyond the Pill, because it is an effective and gentle way to shift hormones into balance. In this article I’m going to help you understand what seed cycling is, how to do it, what to expect and what it can help with. Seed cycling is the practice of eating specific seeds to support the key hormones of each phase in the menstrual cycle. Personally, I’ve been seed cycling for the last ten years and as you’ll read later on, I’m neither perfect nor dogmatic about it. I’ll explain exactly how to do this in a bit, but know the key seeds you will use are flaxseeds, pumpkin, sunflower, and sesame seeds. 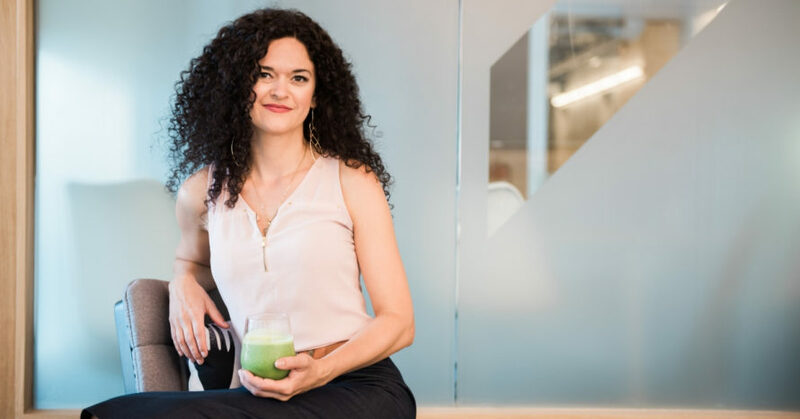 I first learned about seed cycling, along with other specific diet and lifestyle practices to support each phase of the menstrual cycle, in naturopathic medical school. In fact, my mentor authored a book detailing seed cycling about 20 years ago after 20 years of clinical experience. That’s 40 years of seed cycling being prescribed to women! Seed cycling provides the specific nutrients to help build your hormones. 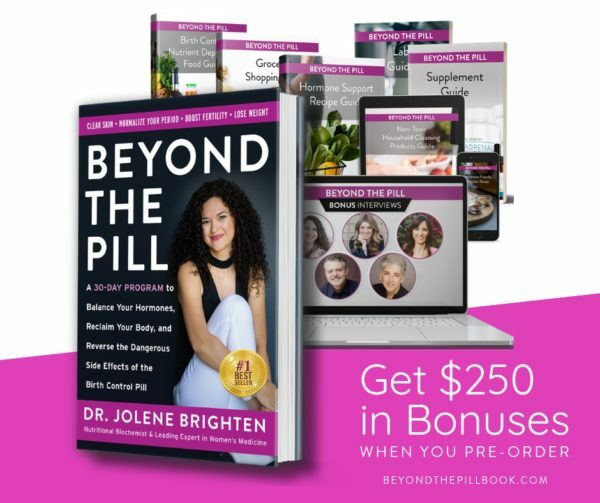 As you'll read in my book, Beyond the Pill, I recommend seed cycling at any stage in a woman's life and find it especially helpful for women coming off of birth control or struggling with post-birth control syndrome symptoms like acne, irregular periods, or new onset of PMS. To use seed cycling you need to know a few things. You’ll be tracking your menstrual cycle and changing your seeds to match the phase you are in. 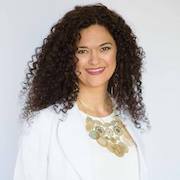 Day one is the first day you experience your period (there is a flow). That will be the day you begin the follicular phase seeds and you’ll continue through ovulation or day 14. The practice is quite simple, beginning the first day of your cycle you'll eat 1-2 tablespoons of fresh ground flaxseeds and raw pumpkin seeds, which supports both estrogen production and metabolism. It's a great way to create balanced estrogen, which is key during the follicular phase. Following ovulation, which can vary for each woman, you will switch to 1-2 tablespoons each of raw sunflower and sesame seeds. For the purpose of seed cycling, we generally change to these seeds at day 15 of the cycle, but if you’re tracking your ovulation then you can switch seeds the day following ovulation. Sunflower and sesame seeds support progesterone levels, which is the key hormone during the luteal phase (the phase following ovulation until your next period). Give your body the nutrients it needs to create amazing hormones. 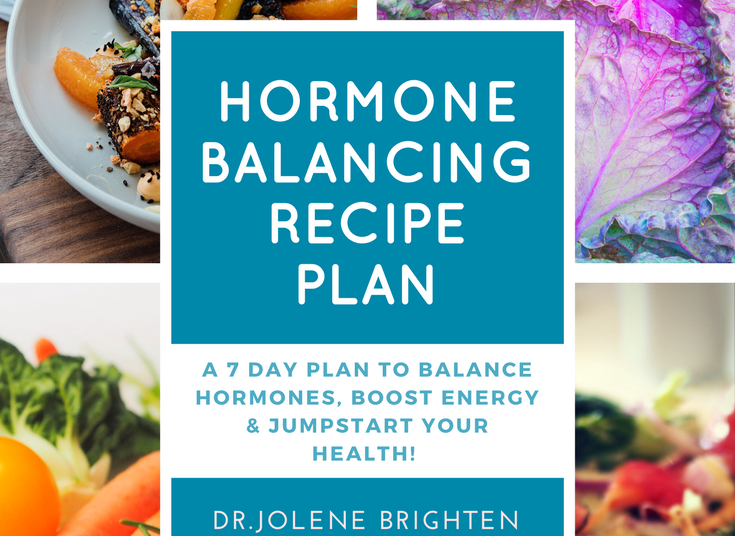 Download your FREE Hormone Starter Kit with 7 Day Meal Plan & Recipe Guide Book. Fresh ground flaxseeds are an excellent way to balance estrogen without pushing you towards estrogen dominance, a common cause of heavy periods and PMS. Flaxseeds are rich in lignans, which have a weak estrogenic effect. Research has shown these lignans to be beneficial in improving estrogen and progesterone rations, preventing heart disease, and can even support healthy bones. I often recommend women leverage seed cycling along with Balance – Women's Hormone Support supplement in order to optimize their estrogen levels naturally. Can Seed Cycling Help with Breast Tenderness? Cyclical breast tenderness is a common complaint among women. It typically comes on right before your period. There have been studies showing improvement in symptoms when flaxseeds are included regularly in the diet. And there have also been studies that have shown the lignans found in pumpkin seeds may be beneficial in preventing breast cancer. Seed cycling can help with painful period cramps! 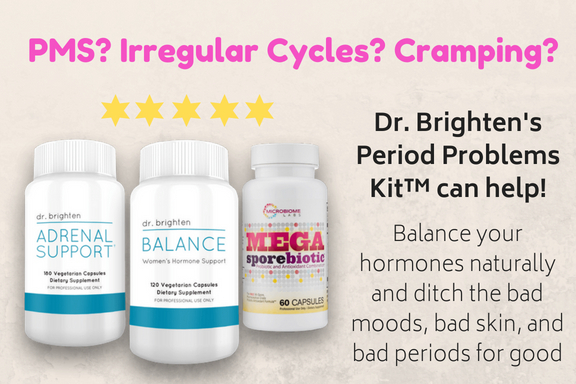 In fact, the cause of those painful periods is rooted in excess prostaglandins, estrogen dominance and inflammation. Because these seeds are rich in omega-3 fatty acids then can help lower inflammation and the effects of prostaglandins. The lignans and nutrients support the elimination of estrogen in the body so that you don’t run into issues with estrogen dominance. While seed cycling can be excellent for alleviating period pain, I typically encourage my patients to leverage magnesium, fish oil, and Balance for at least a few months while the seeds work their magic. Can Seed Cycling Help PCOS Symptoms? Seeds are a great source of zinc, which supports healthy testosterone production. Testosterone is an androgen and in PCOS, androgens are responsible for the hair loss, acne, and hirsutism (hair growth on the face, chest and abdomen) that is commonly experienced by women with PCOS. Research has shown that women consuming flaxseeds have more favorable levels of androgens and the fibers help with estrogen elimination while also supporting gut health. These seeds are also rich in essential fatty acids, which support healthy oil production and decrease inflammation. Other nutrients, like zinc, found in these seeds are important for skin health and acne management. You can read more about how to approach PCOS here. Can Seed Cycling Help with Acne? Acne can be due to a number of factors including excess testosterone, estrogen dominance, poor gut health, inefficient liver detoxification, and lack of quality nutrients in the diet. 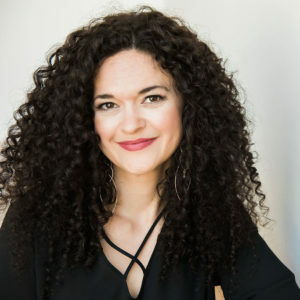 Acne is also common when women come off of birth control due to what is called an androgen rebound, an increase in testosterone production after stopping birth control. This is why I recommend women begin seed cycling when coming off of birth control in Beyond the Pill. The practice works best when the seeds are fresh ground and they definitely need to be raw. As I explain in Beyond the Pill, you can add these seeds to a variety of dishes and include them in smoothies. And yes, there are definitely recipes included in the book! How Long Should You Practice Seed Cycling? You'll want to give yourself a full cycle to note any changes. Typically, seed cycling needs to be coupled with other hormone supportive practices to have a noticeable effect. You can't expect to seed cycle and continue to dodge vegetables and skip sleep and create any real change to your hormones. For some women, it can take up to 3 months to really notice an effect, although they typically note some improvement after their first month. I encourage my patients to make it a lifelong practice. You don't have to be dogmatic about it, but it is a simple tool to support your hormone health and leverage food to create better hormones. When we have symptoms, it is wise to use at least a tablespoon of each seed during the specific phases. Because I’ve been seed cycling so long I have days where I will do 2 tablespoons of just one of the seeds corresponding to the phase I’m in. And you know what? It still keeps me on track. In fact, if my patients struggle with the practice or need to avoid a particular seed because of sensitivities then I’ll advise they just choose one from each phase and eat 2 tablespoons daily. Do you seed cycle? Let me know in the comments below.